eTAG is moving to webDEALER on April 9, 2018! Check out this two-minute video demonstrating how to navigate the system once it is available after April 9, 2018. 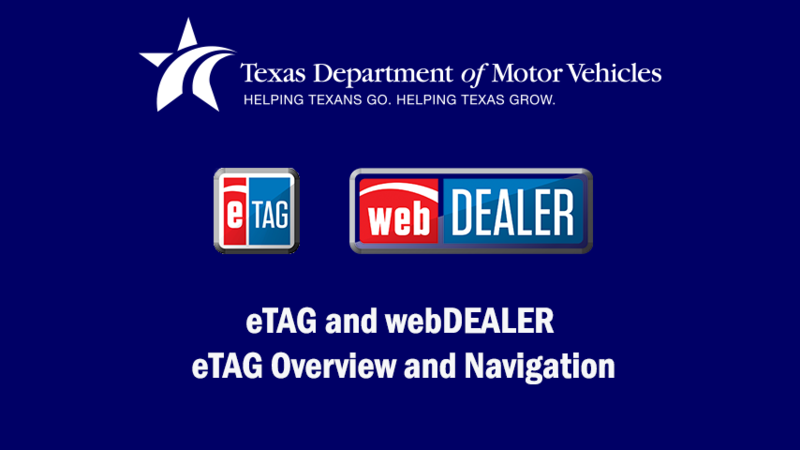 Additional training material can be accessed at www.TxDMV.gov/dealers/resources.